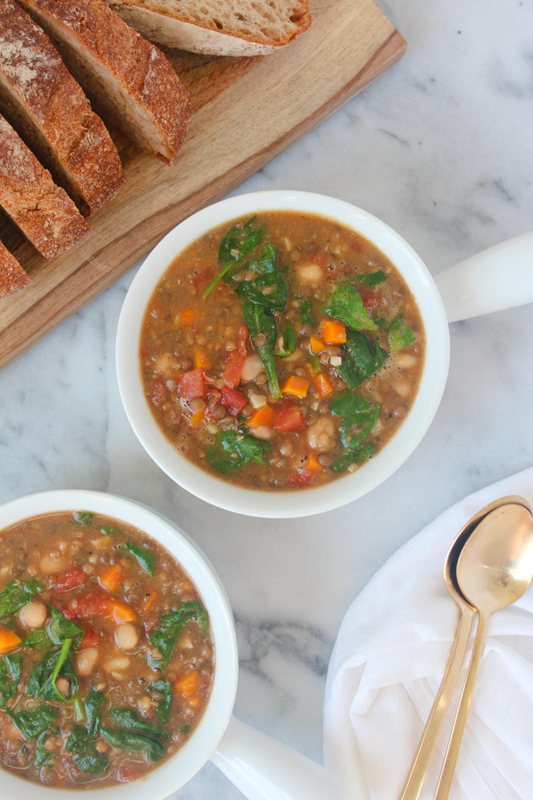 No plant-based food blog would be complete without a delicious lentil soup. And this one has been a long time coming. I'm a little embarrassed to say I've been perfecting it for years because it really is so simple, but it's the truth and it's just as delicious as it is easy to make. This soup is made from staple pantry items, including a couple spices, and fresh veggies. The total active time involved is 10 minutes at the most to peel and chop three carrots and mince some garlic. Totally manageable. The other 30 minutes is just letting the soup simmer and do it's thing as the flavors develop. This ease makes it the perfect recipe to make on a Sunday and enjoy for lunch or dinner throughout the week, or as a last minute week night meal. If you're a veteran to plant-based cooking, lentils are probably always on your grocery list. And if you're new to all this, here's why lentils are going to become your new favorite legume. Of all nuts and legumes, lentils contain the third-highest level of protein and provide steady, slow-burning energy due to their fiber and complex carbohydrates. They're also high in iron, with just one cup providing 36% of the daily recommended value. Futhermore, several studies have shown that eating lentils can lower your risk of heart disease. 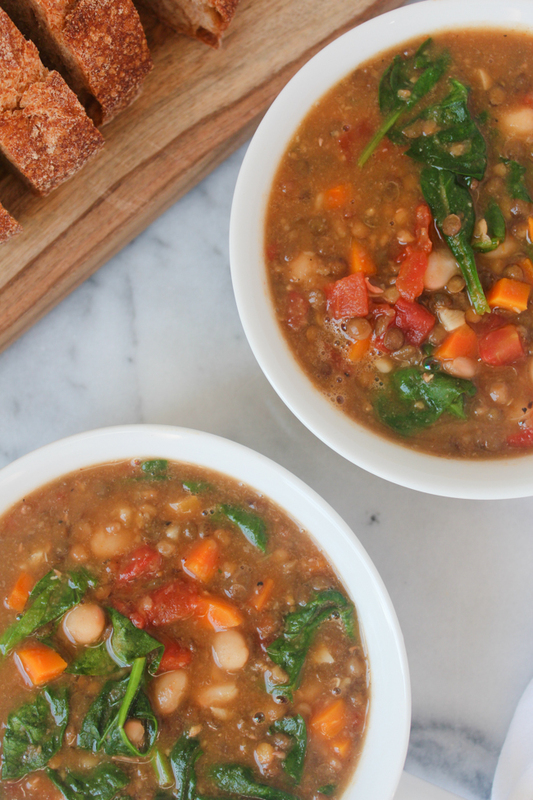 So basically, this is a seriously delicious soup you can feel amazing about eating. Although we're moving through spring and soups are more of a fall thing, I didn't want to hold out on posting this one until then. And if the climate where you live is anything like San Francisco, you've still been experiencing plenty of 60 degree days with only occasional warmer weather, so this soup still has plenty of mileage. If you make this recipe and want to share, remember to use #sprinklesandsaturdays on social media! - Drizzle olive oil in a large pot over medium high heat. Add garlic and cook for about 1 minute before adding all ingredients except the spinach and seasoning with salt and pepper. Bring to a boil and then simmer for 30 minutes uncovered, adding spinach in the last couple of minutes. Um, yum!!! I have to say, everything you make I want to eat that second! I follow a bunch of food bloggers but I your recipes are easy and realistic! Like, I could make this!! Thanks for sharing, girl! And hope you're having a great weekend! Yes! They are so delicious but filling and healthy at the same time. This one is also super easy to put together so it's a win win, let me know what you think if you give it a try! Thanks, Adrika! I would love to follow your blog but that link takes me to a jacket online? Please send over the correct link, can't wait to see! Thanks so much! 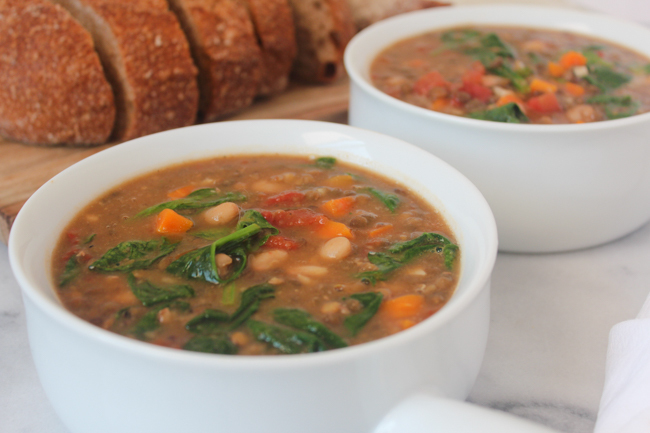 This soup is super delicious, hope you give it a try! Oh my gosh this looks incredible! I LOVE lentil soup; my mom used to make it all the time when I was little and I've been meaning to learn to make it myself. I will take this as my sign! Thanks, Maya! 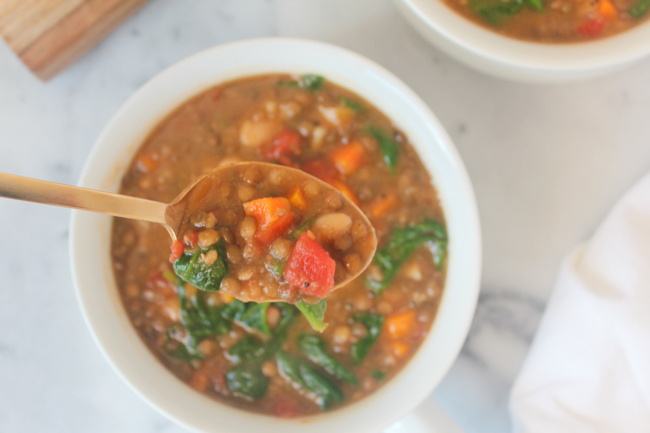 This lentil soup is so delicious, I hope you try it! I will definitely sat hi to SF haha, isn't it the best? I have been living here for two years and love it. Thanks so much for stopping by! This soup looks absolutely amazing! It seems like the perfect spring meal! I totally understand how sometimes the simplest recipes sometimes take the longest to perfect but it looks like you totally nailed it! Thanks, Tamara! It is super delicious and one of my favorite soups. Let me know how you like it! Another delicious and easy recipe! 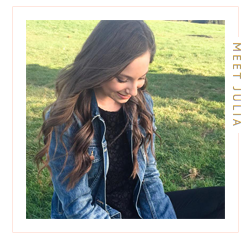 I love stopping by your blog for food inspo! Thank you! Love this soup! I'm not much of a cook, but this recipe is so easy to make. In my normal rotation of food to make. Aw, you're the sweetest! This comment just made my day. So happy to hear this soup is in your regular rotation <3 Thanks for visiting!